In 1896, George Gustav Heye (1874–1957), a mining engineer, began collecting Native American artifacts while working in Arizona. Soon an avid collector, Heye founded the Museum of the American Indian in New York City in 1916, and it opened to the public in 1922 at Audubon Terrace. He also established a research branch in the Bronx, where collections were available for research and study. After Heye’s death, the Museum of the American Indian fell on hard times financially, and several proposals were pursued for maintaining the collection, including transfer to the American Museum of Natural History in New York, and a purchase by businessman H. Ross Perrot. However, these never came to fruition. 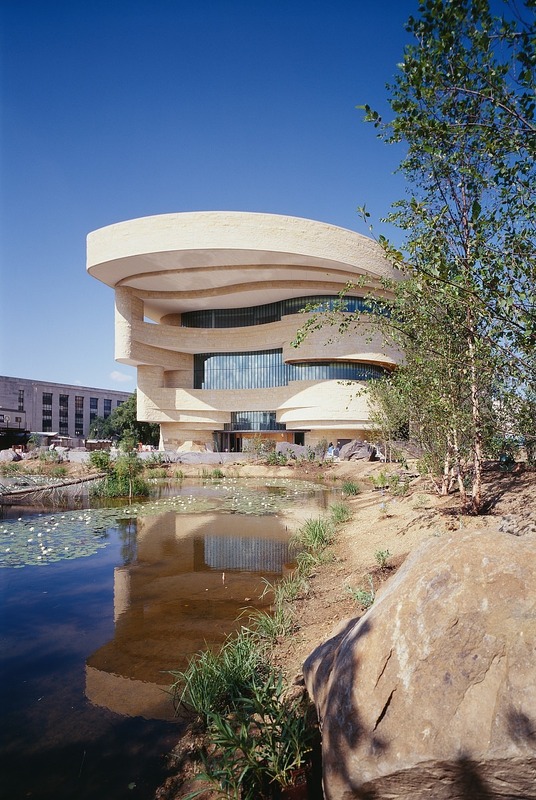 In the 1980s, discussions began with the Smithsonian concerning the museum’s transfer to the Institution, and on November 18, 1989, President George H. W. Bush signed legislation creating the National Museum of the American Indian as part of the Smithsonian. The legislation provided for a small museum to be maintained in New York, a storage facility in Maryland, and a flagship museum in Washington, DC. Over the next several years, museum staff consulted with Native American communities across the Americas to help develop the museum’s programs and design. 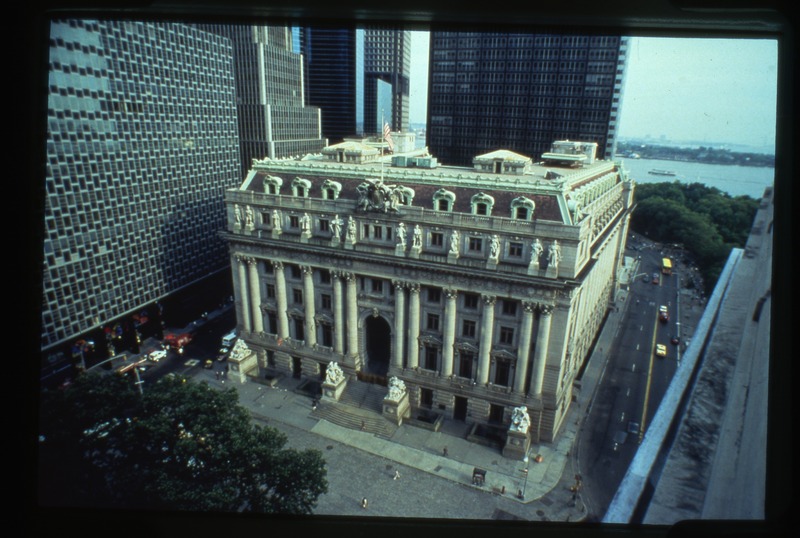 In 1994, the George Gustav Heye Center opened in the old Alexander Hamilton Customs House in New York City to continue a presence for the American Indian Museum in that city. Designed by architect Cass Gilbert, the building was originally completed in 1907 and covers three city blocks. 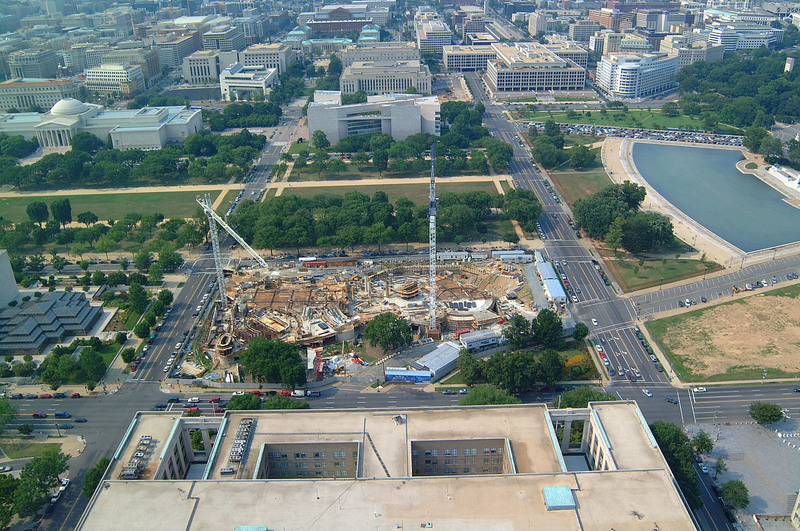 Designs for the new buildings in Maryland and DC were developed through a collaborative program, known as The Way of the People, between Native American communities and architectural consultants Venturi, Scott Brown, and Associates. The building design for the off-Mall facility, the Cultural Resources Center, was then developed by the Polshek Partnership of New York, Tobey + Davis of Virginia, and the Native American Design Collaborative. The architecture of the center is designed to connect the building to the environment, with a curved exterior reflecting natural spiral shapes and oriented to the four cardinal directions. In 1999, this state of the art center for collections storage and study, as well as use of artifacts in traditional ceremonies by Native Americans, opened in Suitland, Maryland. From 1999 to 2004, a five year move project transferred more 800,000 objects from the National Museum of the American Indian Research Branch in the Bronx, New York, to the new Cultural Resources Center facility. 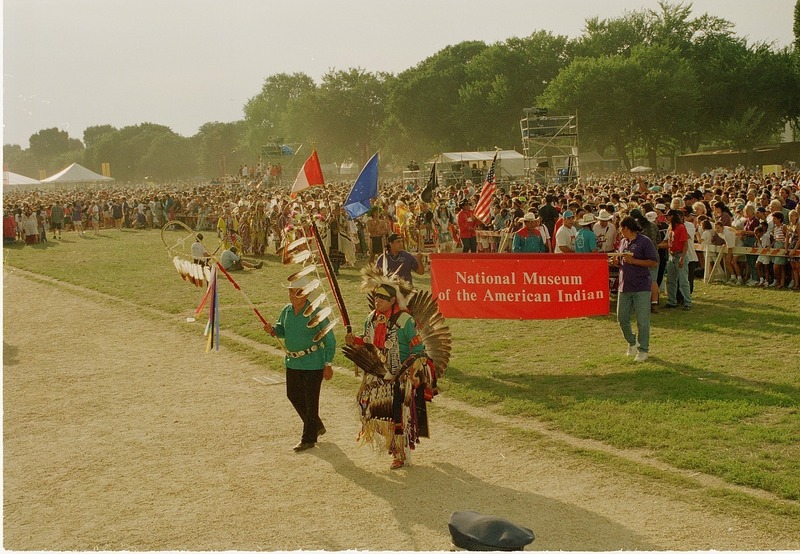 On September 21, 2004, the National Museum of the American Indian opened on the National Mall in Washington, DC, with the largest known gathering of Native American communities in history. Opening exhibitions included, Our Universes: Traditional Knowledge Shapes Our World, Our Peoples: Giving Voice to Our Histories, and Our Lives: Contemporary Life and Identities. Initially designed by Native American architect Douglas Cardinal, the building’s distinctive curvilinear form, evoking a wind-sculpted rock formation, grew out of his early work and formed the basis for the overall design. Following Cardinal’s conceptual design work, the project was further developed by Jones, House, and Sakiestewa, along with the architecture firms Jones & Jones, SmithGroup in collaboration with Lou Weller (Caddo) and the Native American Design Collaborative, and Polshek Partnership Architects. This extended collaboration resulted in a building and site rich with imagery, layers of meaning, and connections to the earth. The building is aligned perfectly to the cardinal directions and the center point of the US Capitol Building dome, and is filled with details, colors, and textures that reflect the Native universe. Today, the National Museum of the American Indian works in collaboration with the Native peoples of the Western Hemisphere to protect and foster their cultures by reaffirming traditions and beliefs, encouraging contemporary artistic expression, and empowering the Native American voices. Across its three buildings, the American Indian Museum houses over 800,000 artifacts and 300,000 images, the largest and most extensive collection of Native American art and artifacts from North, South, and Central America in the world.